Like most other states in the country, Manipur too takes care of poor and old people. There are several schemes which prove this. Among them, the old age and widow pension schemes take a major place as these people certainly need the support of the government. The application process to these schemes in Bishnupur, Thoubal, Imphal East & West, Senapati, Manipur is mentioned below. The person must be a permanent resident of Manipur. She must belong to below poverty level. The age of the applicant must be within 40 to 79 years. The age of the applicant must be more than 60 years. The applicant must belong to below poverty level. He or she does not have any able earning member in the family. Visit the office of your District social welfare Officer or the Social Welfare Department of your area. Get the application form for widow pension or Old age pension. You can also download the form from http://nsap.nic.in/nsap/nsap_legacy.html. Now fill up the application form with all correct information. Remember any wrong information may lead to the rejection of your form. Attach all required documents with the form and submit it to the nearest Social Welfare Department of your area or the office of District social welfare Officer. The verification and scrutinization of the application will be done by the officials. The District Level Sanctioning Committee will sanction your pension if everything goes right and will send that order to the treasury. The treasury will then release your pension. Widow above 40 years age will get a pension of Rs. 300 and above 80 years age will get pension of Rs. 500 per month. 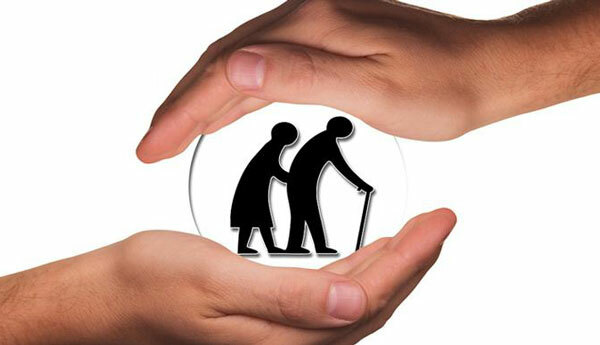 The old age people within 60 to 79 years age will get Rs. 200 and after 80 years age will get Rs. 500 per month.